Beep beep, out of the way Meridian. Move over Mean Time. 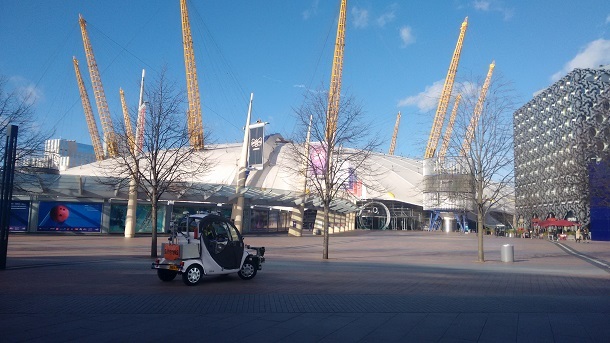 There’s a new boss in Greenwich, London: the self-driving car. The UK has made no secret of its desire to emerge as a leader in self-driving car technology. Last year chancellor George Osborne set aside £100M ($144) in the 2015 budget to support autonomous vehicle pilots, infrastructure and testing centres as a way to stay "ahead in the race to driverless technology". But the UK to date has lacked a hub like a Silicon Valley, California, or a Detroit, Michigan, where ideas can coalesce and bounce off each other. Enter the new ‘UK Smart Mobility Living Lab @ Greenwich’. 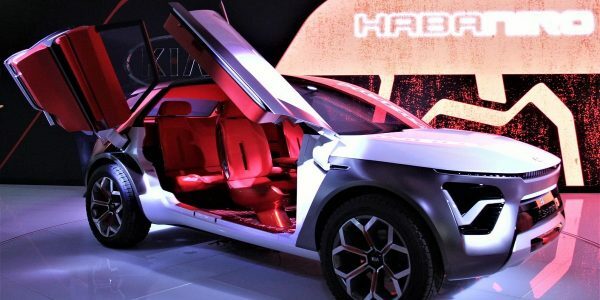 A joint effort between the Transport Research Laboratory and the UK government, the lab will be open to carmakers and tech developers alike, with the goal of helping organisations bring solutions to market faster by enabling them to be trialled and validated in a real-life environment. The lab will do everything from research and development to concept validation to piloting to launching new services. In other news, the battle for greater range out of hybrids and electric vehicles has gone neon. Specifically, “Thermo-Tect Lime Green.” Wired reports that Toyota is the first company to unveil an electric vehicle (EV) or hybrid with solar reflective paint, which allows a coloured car to reflect as much sun as a white car would, no matter its actual hue. The end goal: keep cabin temperature lower, thus requiring less climate control, thus draining less battery, thus increasing range. Toyota rolled the paint out on the 2017 Prius for the Japanese market only. Volvo wants to replace car keys with smartphones. That’s the idea behind a new Volvo app that allows a smartphone to lock, unlock and fire up the ignition of a car. Volvo will pilot the app this spring at the Gothenburg airport in Sweden with car-sharing service Sunfleet. The ultimate goal is to make car-sharing easier and more efficient — no physical keys required. Insurance telematics upstart Metromile was back in the news for landing a strategic investment from Intact Financial Corporation, the largest provider of property and casualty insurance in Canada. Last month Uber enlisted Metromile’s services to help Uber drivers get insurance coverage when they’re driving to pick someone up but aren’t yet transporting a customer. No details on how much Intact invested but it’s safe to assume that Metromile will be expanding beyond America with some Canadian pay-per-mile coverage soon. It’s the age old question, what’s there more demand for, built-in or brought-in connected car tech? For every new car with a next-generation infotainment system there seems to be a dozen devices targeting the aftermarket. Two weeks ago it was the new OverDryve dashboard tablet from Rand McNally. Last week, a new Ride-Fi in-car hotspot from Sprint and Alcatel. The booster plugs into the cigarette lighter port and supports up to six smartphones or tablets. Retail is $168 (£117) — a heck of a lot cheaper than a new connected car. 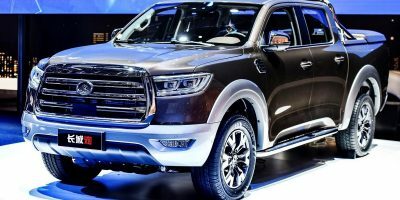 The Intelligent Car Coalition, which advocates for connected car technology in the US, reeled in a powerful new member in infotainment leader HARMAN. The company says it will now work to support the Coalition in advocating for smart public policy around driver attention, data privacy, cybersecurity, autonomous vehicle technology and innovation policy. Other Coalition members include AT&T, the Auto Alliance, Global Automakers, and Verizon. So long UPS and au revoir FedEx. If Google’s latest patent for an “autonomous delivery platform” comes to fruition, the future will be populated by self-driving trucks with no need for delivery men and women. The Google patent suggests that these trucks will be able to home in on people’s current location via their smartphones, then pull up and allow them to remove their packages from secure cubby holes with a one-time passcode. 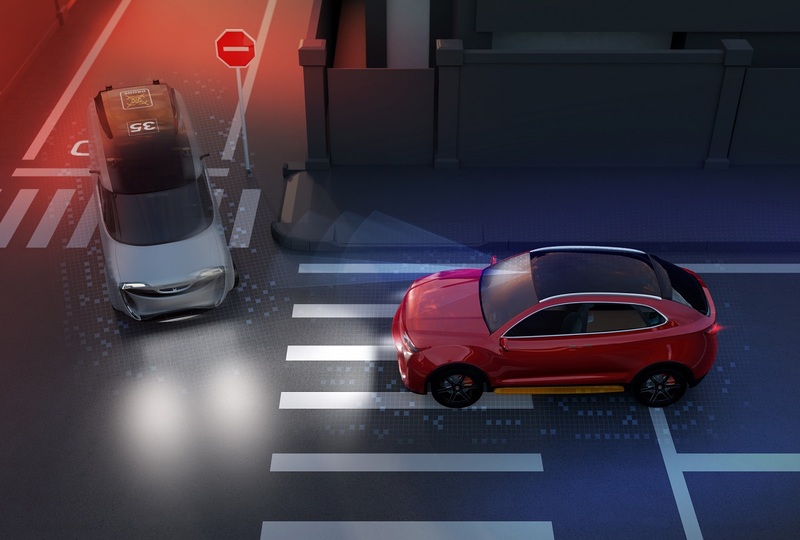 Finally, Hitachi Automotive is testing a self-driving car on a public road in Japan this week — a fact that, no offense to Hitachi Automotive, reveals just how mundane self-driving car tech has become. You’re hard pressed to find an automaker that isn’t developing or piloting a self-driving solution these days. The real unknown here is whether any one of these carmakers or tech players can achieve first-to-market advantage or if the revolution will spread its bounty evenly, with market share more or less unchanged in the process.